Purchase unique, Middletown-themed gifts via PayPal, a debit or credit card, and support the Society at the same time! 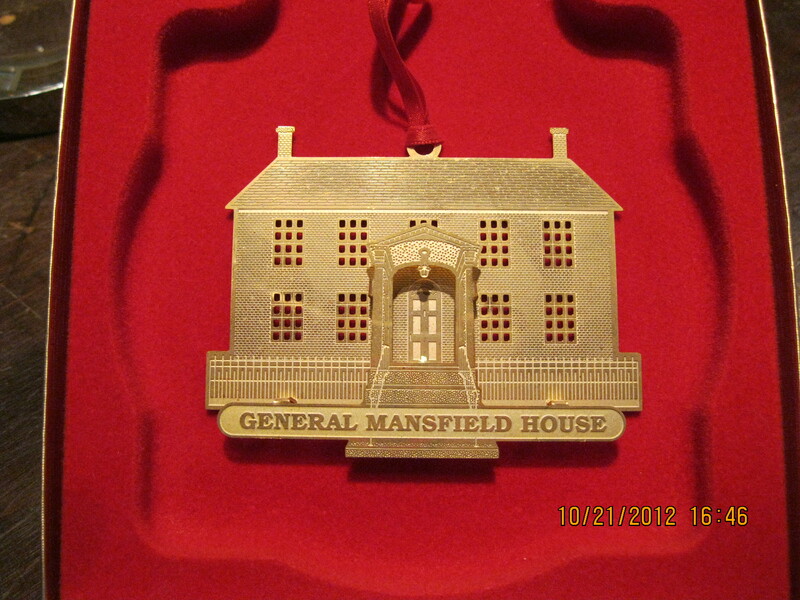 Here is a selection of the gifts available in our shop; for more items visit the gift shop at the General Mansfield House. $15, plus $4 shipping and handling. Ornament with ribbon & gift box. Call 860-346-0746 to ask about volume discount! $48, plus $14 shipping & handling. Available in navy or maroon. Indicate in PayPal which you prefer. $22, plus $5 shipping & handling. $4, plus $4 shipping and handling. 2001 reprint of 1884 original. $53, plus $14 shipping and handling.